Revision means building will be taller, reports Building Design today. 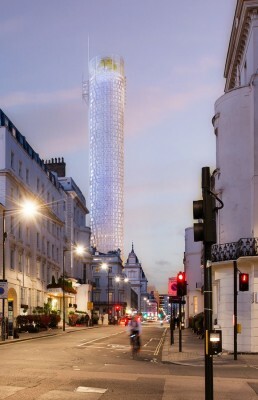 The height of the tower designed by Renzo Piano in Paddington has been increased by 10%, meaning it will now be 254m tall. The design for developer Sellar Property Group, which had an initial height of 224m, was first unveiled less than two months ago but the changes will see it go up from 65 storeys to a new figure of 72 storeys. The plans were revealed at a two-day public exhibition held into the scheme last week which showed the new proposals will include 330 apartments, 10,000sq m of office space along with 4,600sq m of retail. Great Western Developments Ltd, a subsidiary of Singapore publicly listed Hotel Properties Limited, and its development partner Sellar Property Group has unveiled development proposals for 31 London Street, the former Royal Mail sorting office. Adjacent to Paddington Station, the scheme will create a transformative mixed-use development with world-class public realm at its heart. With the arrival of Crossrail in 2018, Paddington is set to become an even more important destination. Paddington’s passenger growth is projected to raise the station from London’s eighth busiest to London’s fourth – comparable to Waterloo, Victoria, London Bridge and Liverpool Street. The surrounding infrastructure must adapt and revitalise to reflect the importance of Paddington as a key gateway into London, and at the same time improve visitor experience. 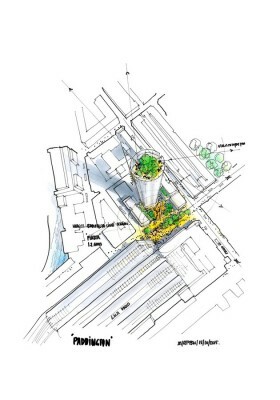 Sellar Property Group, previously responsible for The Shard development, together with architects Renzo Piano Building Workshop have designed over an acre of new urban public realm to complement Paddington Station. 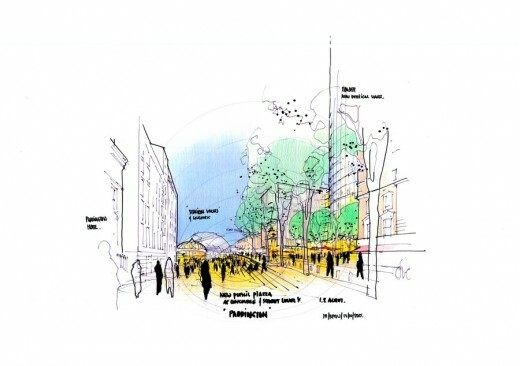 This new public space will address many of the challenges currently faced by Londoners and visitors by easing congestion, improving connectivity and creating a world-class experience. 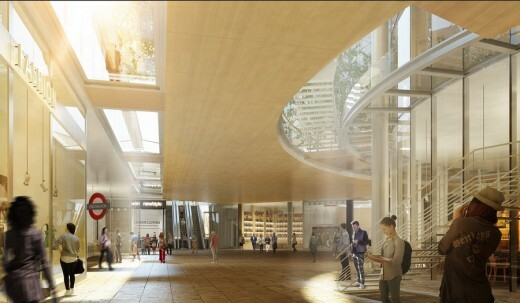 The proposed development will significantly enhance connectivity for the Bakerloo line, while creating a much deserved front door and an elegant new building for London topped with a stunning open-air roof garden, inspired by Kew Gardens and London’s garden squares, offering panoramic views of London. The new public realm will also improve connectivity to St Mary’s Hospital and blend sympathetically with the hospital’s own emerging masterplan. The development at 31 London Street will bring a £1billion investment to the area, over 200 new homes, more than 150,000sq.ft. of new office space specifically designed to encourage occupation in small suites by dynamic companies. This office space will form part of a catalyst to create jobs and drive much-needed investment to Paddington. The development also includes approximately 50,000 sq.ft. of high quality retail, restaurants and cafés that will make it a destination in its own right. The creation of more than 1,000 jobs. Hotel Properties Limited (“HPL”) was incorporated in Singapore as a private limited company on 28 January 1980. It was converted into a public company on 4 May 1982 when it changed its name from Hotel Properties Pte Ltd to Hotel Properties Limited. Sellar Property Group is one of the UK’s leading privately owned strategic property development and investment companies. With a wealth of experience and an entrepreneurial approach it remains at the forefront of the property industry and has an incredibly successful track record. Previous developments from Sellar Property Group include; London Bridge Quarter in partnership with The State of Qatar, The Shard (the tallest building in Western Europe) and The News Building in London Bridge. The Renzo Piano Building Workshop (RPBW) is an international architectural practice with offices in Paris and Genoa. The Workshop is led by 13 partners, including founder and Pritzker Prize laureate, architect Renzo Piano. Renzo Piano Building Workshop (RPBW) previously worked with Sellar Property Group to deliver The Shard and is also responsible for the new Palais de Justice (the new law courts building in central Paris) and a number of other projects in the UK, France, Italy, Australia, China and the USA.